You are here: Home › ar › Riddles › The Sugar & Salt – Dilemma!! – Can You Solve It? A poor trader went to the countryside to sell some sugar and salt. However, as he had only one sack and didn’t want to mix sugar and salt, he poured in the sugar first, tied the sack in the middle, and then filled the top portion of the sack with the salt. At the market a rich merchant came with his own sack. He wanted to buy the sugar, but he did not want the salt. Pouring the salt anywhere else would definitely spoil it. Trading sacks is not allowed. The trader can’t cut a hole in his sack. How would you transfer the sugar to the merchant’s sack, which he wants to keep, without spoiling it? Dear Reader, Please give your answers below in the comments section. 51 Responses to The Sugar & Salt – Dilemma!! – Can You Solve It? Pour the salt in the merchant bag and switch the bags that way the merchant wind up with the sugar and the trader ends up with the salt. pour salt in the rich man sack. then tie from top. then turn it upside down to make a use of the empty side. then pour the sugar in the opposite side of it (the empty one). then open the tie and return the salt to his sack. then tie and return the sugar. then turn the rich man sack again and pour the sugar inside. Trader should transfer salt from his bag to buyer bags and tie it and then transfer sugar at the top. He then cut a hole at the bottom of buyer’s bag and transfer out salt to trader’s bag. He can sew the bottom of trader’s bag and handover traders bag to containing sugar only. Trader can tie another tie next to existing one and cut in between than pour what ever merchant want in his sack. The poor trader will pour the salt in the rich traders sack and then exchange the sac with him of sugar and take salt back. He should make the sack upside down and un-stitch the sack without making a hole and shift the sugar to the merchant sack. I endorse the solution #1 given by M.Shafi. open top and just remove the salt in rich murchent bag and give suger bag to marchant and take his bag of salt from marchant . At first, the salt was poured into the merchant ‘s sack. Then it was tied from the middle and turned inside out. After this, the sugar was poured into the merchant ‘s sack. Then in this position, it was untied from the middle and the sugar was poured back to the vendor’s sack. At first, the sugar was poured into the restaurant owner’s sack. Then it was tied from the middle and turned inside out. After this, the salt was poured into the restaurant owner’s sack. Then in this position, it was untied from the middle and the salt was poured back to the vendor’s sack. 1: Pour salt in trader’s sack. He may pour all the salt in the buyer’s sack and then exchange sacks. The merchant cut the sack in half. There are two sacks now. One is sugar sack and one is salt sack with the merchant. He gives the sugar sack to the buyer and keep the salt sack. This is the best solution . Hole in the sack is not allowed but there is no restrictions on cut. It is very easy.Open the sack.Us a tube.loosen up the bottom first tied until tube can enter inside of sugar.Tied the sack again not to empty the salt.Turn over sack and release the sugar. cut the hole on other end as well. pour sugar when needed from one end, pour salt from the other end when needed. keep them both tied when done. Pour the salt in buyer’s sack. Tie from middle. pour the Sugar. Cut a whole in the buyer’s sack (there is restriction on cutting whole in seller’s sack not buyer’s) and pour the salt back in seller’s sack. 1) The merchant empty sack should be putted down on the ground, and open trader sack and put the salt temporarily outside the sack while it is on the ground. 2) After pouring all salt outside of merchant sack adjust the salt position til the bottom of the said sack. 3) Pour the sugar inside the menrchant sack while it is on the ground. Now what they have is the salt outside the merchant sack and the sugar is inside. 3) After transferring all the sugar to merchant sack on the ground, take back the salt and return to trader sack slowly to avoid mess. This is the only way for me to solve this riddle. Poor trader first pours the salt from the top of his own sack into the rich man’s sack, then only sugar will remain in his sack. Now the trader will hand over his bag of sugar to the buyer and keep the sack with salt to him from the buyer. It’s easy. Abdus Salam….. Trading sack is not allowed! Pour the sugar in marchant ‘s bag and give him his bag of salt and take the sugar bag from marchant. As the only trader who can’t cut a hole in his sack , when on the merchant can . The trader pours the salt into the merchant’s sack first , tie the sack in the middle then add the sugar in the upper portion of the merchant’s sack , after fastening the upper portion precisily , make a hole at the salt side of the merchan’s sack , then to pouring the salt into the bottom of the trader’s sack , thus the merchant gets the sugar in his sack and salt in the trader’s sack . There is no restriction on exchange of bags. He pours salt in buyer’s bag and keeps it and hands over sugar bag to the buyer. Virendra Goel….Trader sack is not allowed! Open the styiches from the bottom of the sack. This will not amount to making a hole. At the same time sugar and salt will have separate accessible openings. The trader first pours the salt in the merchants sack, then ties in the middle, then pours the sugar on the top portion of merchants sack. Now he cuts a hole in Merchants sack in the bottom since he is not allowed to cut a hole in his sack only, he transfers the salt back to his sack. As the buyer is a rich merchant, include the price of salt also in the sugar’s and throw away the salt. Then transfer the sugar to the buyer’s sack. Hussain…..the rich merchant does not want the salt and there is non mentioned about pricing. Also, throwing a salt will difinitely spoil. Pour the salt in the rich mans bag and tie the middle. Now pour the sugar. Thereafter pour the salt back in the merchants bag. Yusuf….how can you pour the sugar? where you will pour the sugar? to the top of the sack? then how can you remove the salt from inside(bottom) of the merchant sack? YES, I AGREE WITH ASHRAF’S REPLY ABOVE. Stephen…the trader can’t cut a hole in his sack. 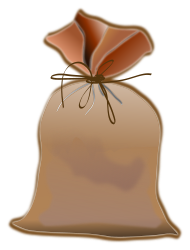 The trader can pour the salt into the sack of the merchant, and the sacks may be simply exchanged. The same answer as Ashraf’s – above. The trader pours the salt into the merchant’s sack , and exchange the sacks with the merchant . Ashraf, trading sacks is not allowed! ashraf Tawfik Hayes…..trader sack is not allowed!